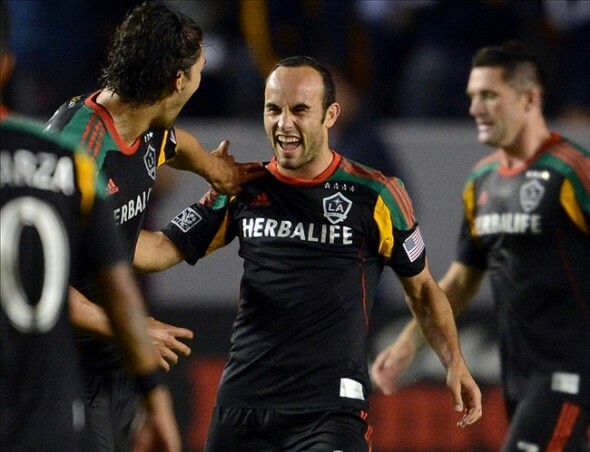 In last weekend’s LA Galaxy vs Real Salt Lake MLS matchup, I was thrown for a loop with the unusual kit worn by the LA Galaxy. After doing some digging, I found we at soccercleats101 had missed one of the more interesting MLS kit launches of the summer. 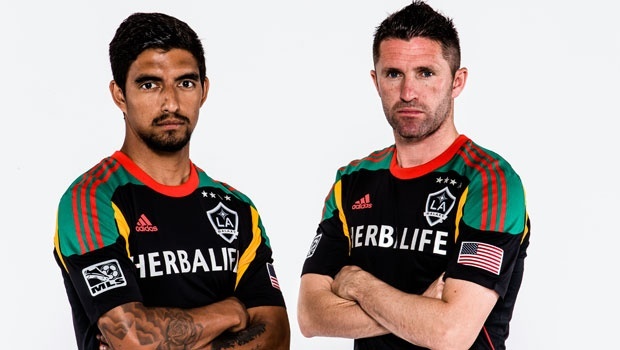 For this years LA Galaxy third kit, the club took inspiration from the social media driven world, and decided to allow fans to enter their own kit designs which were put to a Facebook poll to decide the winner. The winning design was submitted by Galaxy fan Carlos Rodriguez. 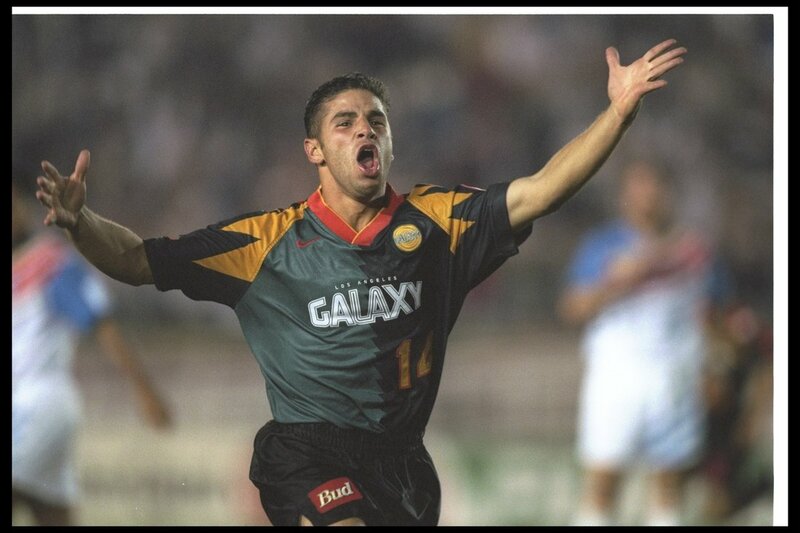 In an interview with the Galaxy, Rodriguez emphasized his desire to draw inspiration from the kit the Galaxy wore in the first year of MLS play. In a once in a lifetime opportunity, Rodriguez joined Galaxy president Chris Klein for the unveiling of the kit earlier this summer. Below you can see the initial kit. For me it is easy to see how it inspired the new design, and I think Rodriguez did a great job transitioning an old design into a modern kit. It is always interesting to see clubs allow full input from their supporters, and this is a great example of how to do so. It will be interesting to see if more crowd sourcing happens in the MLS, which is always open to greater fan interaction. I hope this is just an example of more to come from one of the world’s fastest growing leagues. Colin is a blog writer for SoccerCleats101, and self proclaimed boot lover. Transplanted to Iceland from Texas, Colin has worn boots in some of the best and some of the worst conditions in the world. Follow him on Twitter for a look into the life of a soccer player in Iceland! Looking Back At All “Kickasso Kustoms” Limited Edition Releases To Date!